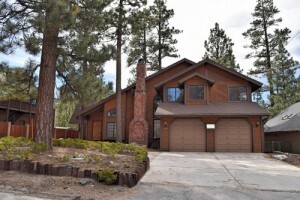 Welcome to the Eagle Point Estates in Big Bear. This peninsula juts out into Big Bear Lake, providing an abundance of lakefront homes and cabins. The most coveted area is Eagle Point Estates featuring a private marina, as well as a few million dollar homes and dedicated eagle habitat. 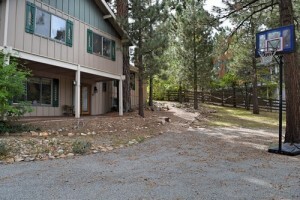 Experience Eagle Point by staying in one of these fine cabin rentals in Big Bear Lake. If you are looking to purchase a home in Eagle Point, or would like to stay in an Eagle Point vacation rental, contact Destination Big Bear at (909) 752-0234. Beautiful updated home with a pool table, comfortable furniture, warm carpet, stainless steel appliances and pleasing cabin decor throughout. 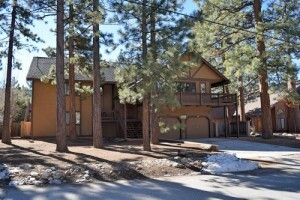 Relax and enjoy the spectacular views and amazing sunsets from the deck of this spacious Big Bear lakefront retreat. With four bedrooms, two and a half bathrooms as well as over 3,000 square feet of living space, there is plenty of room to lose yourself. 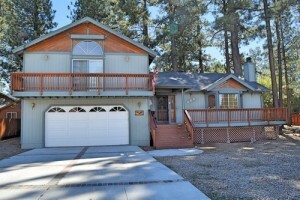 Great location for year round fun in Big Bear Lake! 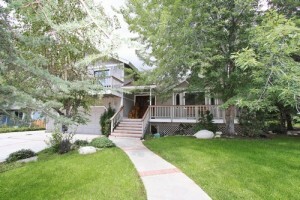 Only a few minutes drive to The Village, mountain resorts and the lake. Just a short walk to the shuttle bus to Snow Summit and Bear Mountain. All the amenities you want for a great vacation with a cozy, cabin feel. Features a split level, open floor plan. This cabin is hard to beat for a family getaway! 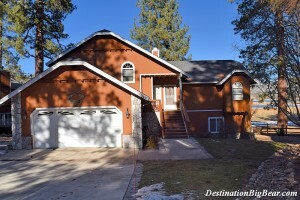 Amazing Grace is a revitalized, large 3,600 square foot, four bedroom cabin which is an easy 10 minute walk to Meadow Park, gorgeous Big Bear Lake, a little longer walk to the Village, and only a mile from the slopes. Sit back on the gigantic deck with your friends and family while enjoying a barbecue and the private, peaceful tree views. Walk to gorgeous Big Bear Lake at Meadow Park where there are volleyball courts, tennis courts, baseball fields, and a picnic area in just a few minutes. A bit longer of a walk will bring you to the Village from this very large 3,600 square foot four bedroom, three bathrooms home. Features: Hot Tub, Propane Barbecue, Pool Table, Ping Pong Table Top, Large Kitchen, Two Dining Areas, Laundry Room, Wood Burning Fireplace, Fenced Backyard, Internet, Local Phone Calls, Cable, DVD Players, Flat Screens Throughout Note: The bedroom TV’s do not have cable. Don’t let the looks of this cabin deceive you. Welcome to Big Bear Secret! This large cabin is centrally located and perfect for large groups or small gatherings with approximately 3,158 square feet of space! The open floor plan will let your whole family enjoy quality time together. Sit back and relax next to the wood burning fireplace or enjoy the outside from the adjacent outdoor spacious deck. 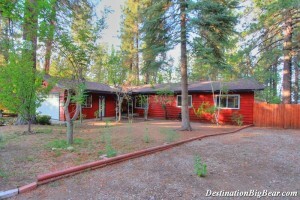 Great family cabin, centrally located for your getaway to Big Bear Lake! Walk to Meadow Park and the lake, just a short drive to the slopes and The Village.